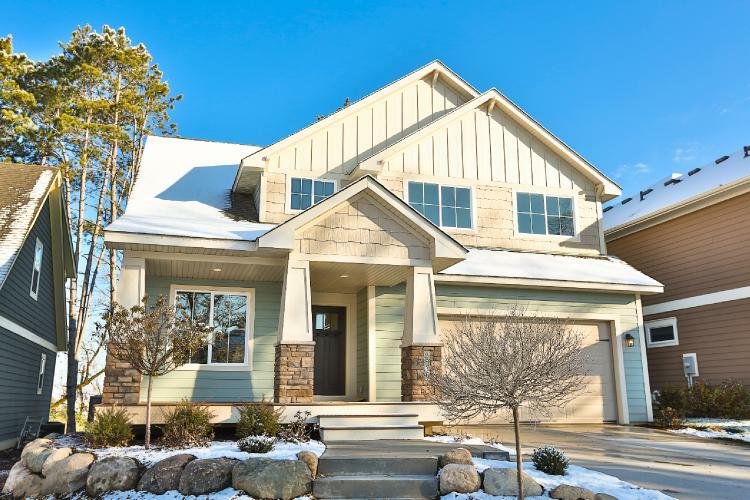 This home is clad in HardiePlank® lap siding in minty green with HardiePanel® vertical siding and HardieShingle® siding in a creamy neutral. 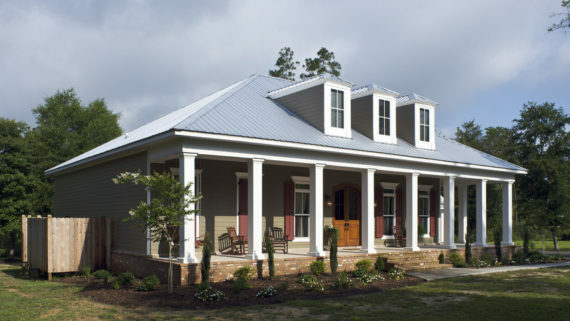 The varieties of siding styles on this quaint, snow-dusted home make it feel cozy and comfortable. Creating a space that feels both homey and welcoming seems to be a part of the Midwest makeup. A space that breathes comfort and relaxation. A space where you’d love to curl up with a blanket and watch the snow fall. 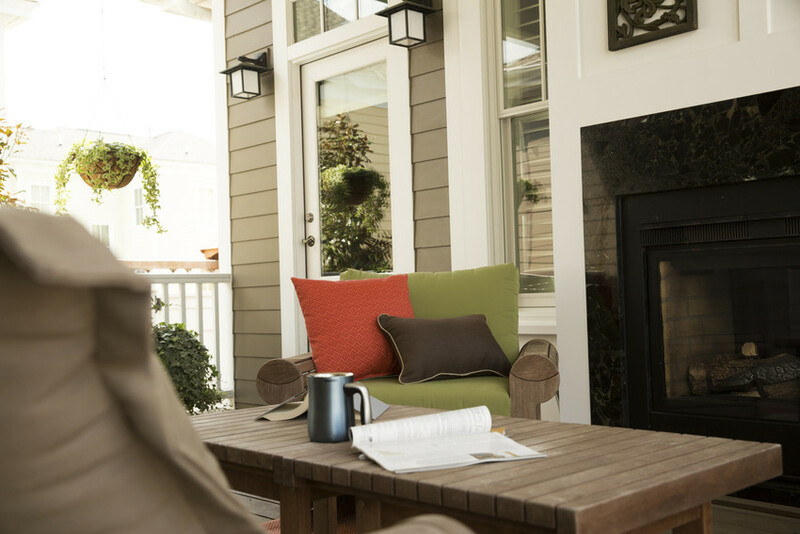 James Hardie® siding and trim can help you create that space and call it your own. Here are a few homes that inspire complete coziness, and three easy ways to get the relaxed and inviting exterior that many of us crave. Colors are critical when creating a sense of coziness, and warm hues are the way to go. 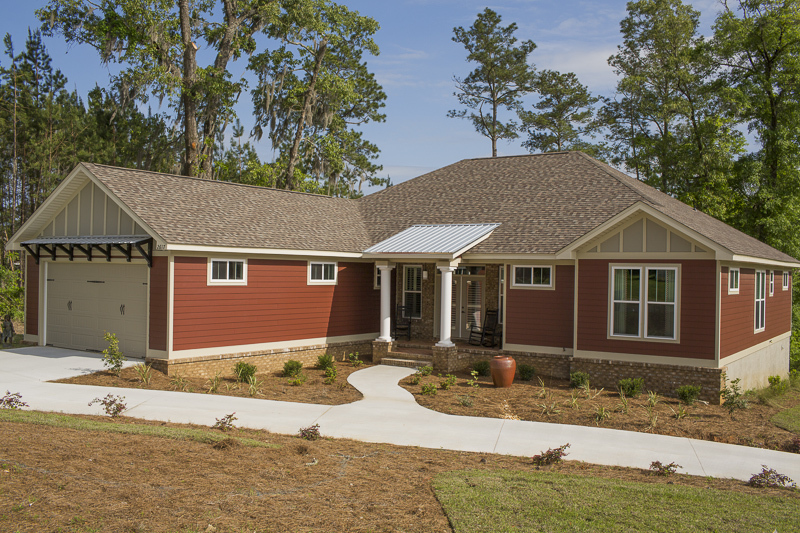 This home is clad in HardiePlank lap siding in Countrylane Red with the HardiePanel vertical siding in Monterey Taupe and HardieTrim® boards in Sandstone Beige. The warm red paired with the soft neutrals provides an inviting farmhouse feel. As you design your outdoor areas, try to create spaces that exude informal tranquility, too. 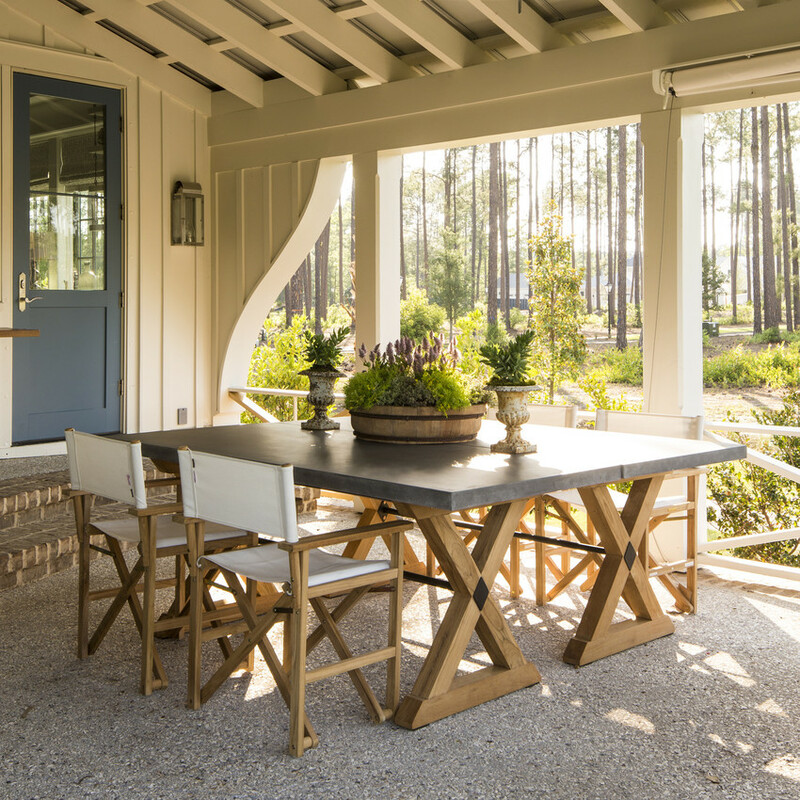 This home is clad in HardiePlank lap siding in Timber Bark, and makes an ideal backdrop for this cozy porch space. The comfy furniture, the reading material, a warm cup of coffee, a fireplace and greenery—all ways to make a space feel friendly. This charming home is clad in HardiePanel vertical siding in a creamy neutral with an outdoor dining area that looks out on tall trees and lake views—a dreamy and captivating backdrop. Call us today for all your James Hardie Siding needs! We are James Hardie Certified Contractor with over 40 years of experience. Did you know Schmidt Exteriors has A+ Grade in BBB rating system?